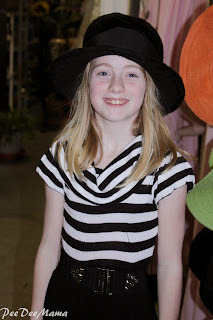 This month's featured blogger is my friend Mindie from The (mis)Adventures of a "Born Again" Farm Girl. On a 1/4 acre in a VERY small town lives a slightly deranged woman who never thought she would be a Farm Girl again, then her son asked for a chicken! So began The (mis)Adventures of a “Born Again“ Farm Girl. Hi, my name is Mindie and I quickly realized my rebirth went much deeper then a few hens ….. 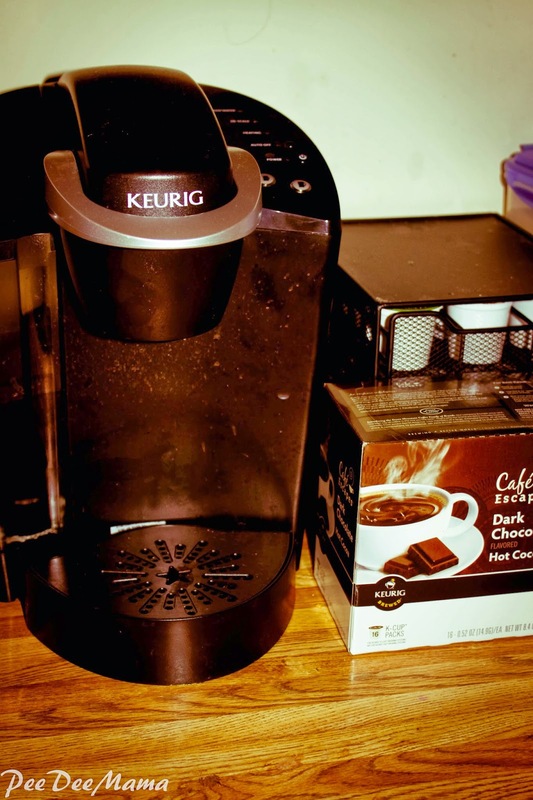 It awoke a desire in me to do more, ourselves, for our family…. To learn the “old ways” of doing things. We raise chickens, ducks and rabbits, garden and can, tap our maple trees for syrup, cure our own hams, make lard and our own bacon! This spring we will be adding bee hives as well! It is never a dull moment here in Michigan with my hubby and two country kids. There are days, when you just don’t feel like pulling out all the stops in the kitchen. There are days when the extra mile, well frankly, is just too far. On those days, I just want to get food on the table, quickly, with very little work. But I also want those meals to taste good and be good for us. You might hate me because we do not have set amounts for each ingredient in this dish. Some nights we only have a little beef on hand. Some nights we have a whole head of cabbage. My hubby would put a whole cow in if I let him (and he does when he makes it) where as I like a nice balance of all three ingredients. So use your judgment and put the amount in YOU like. Start by browning the ground beef in a pan while the rice cooks (cook your rice per the package instructions.) Once the ground beef is browned (or if you're a vegetarian, you can leave it out) we use a cheese grater to shred up either a whole small cabbage or 1/2 of a large head and throw it in with the meat to cook down and become tender. 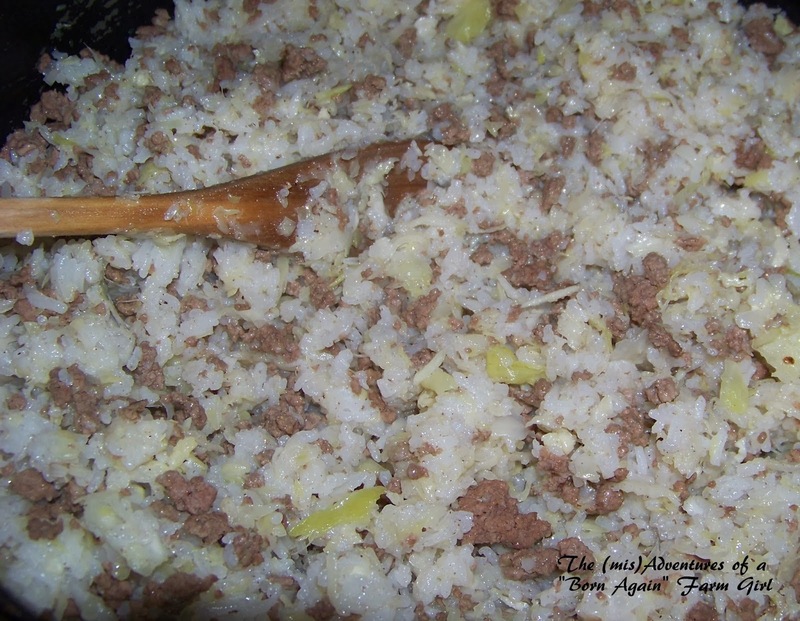 Once your rice is done, throw that in the pan with the beef and cabbage, with a little salt and pepper and remove it from the heat. Stir it all together and let it sit for about 5 minutes so everything can share flavors and you're done. 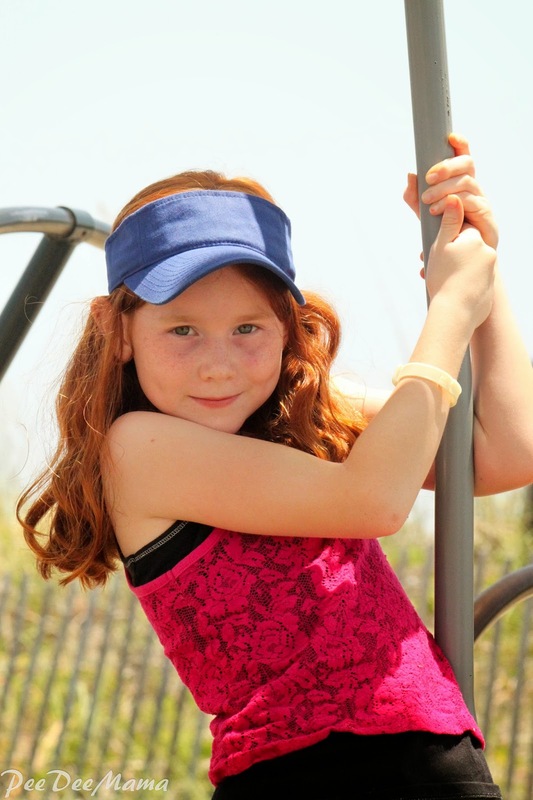 You can get to know Mindie better by visiting her at her Social Media homes. 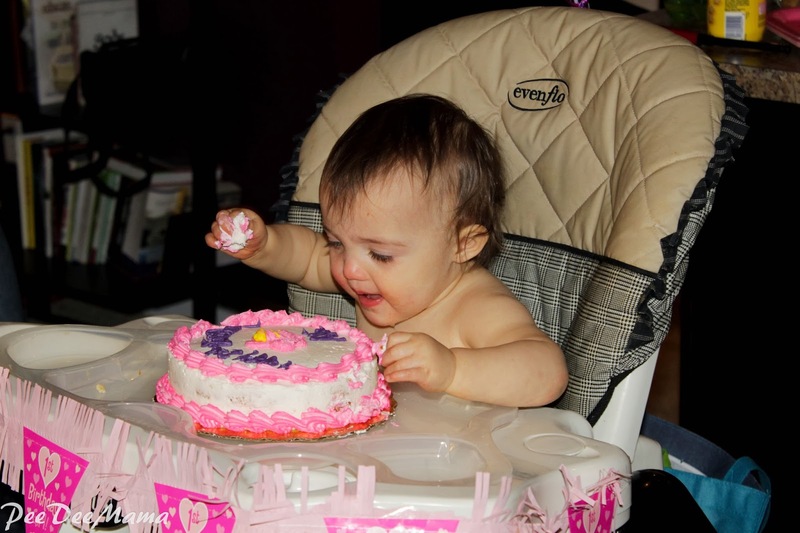 My newest niece celebrated her first birthday last week and had her first birthday party over the weekend. She had a TON of fun digging into her cake! Do you have a wordless (or not so wordless) post to share? Link up below. Breakfast. Can I share with you that this is one meal that I usually just phone in? Usually the small people munch on cold cereal, poptarts, bagels, or instant oatmeal. I really want to feed them better for breakfast, but I hate having to spend my time between breakfast and school cleaning up a big mess from cooking. 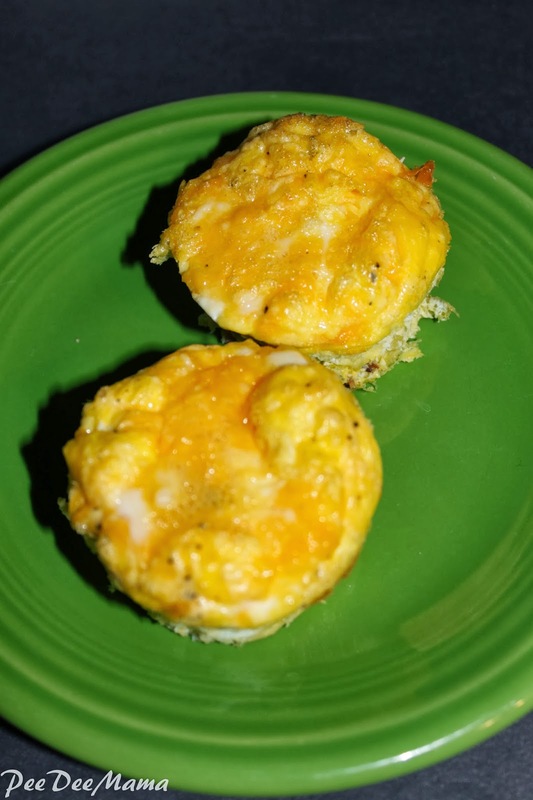 I found this recipe for omelet muffins and just had to try it. 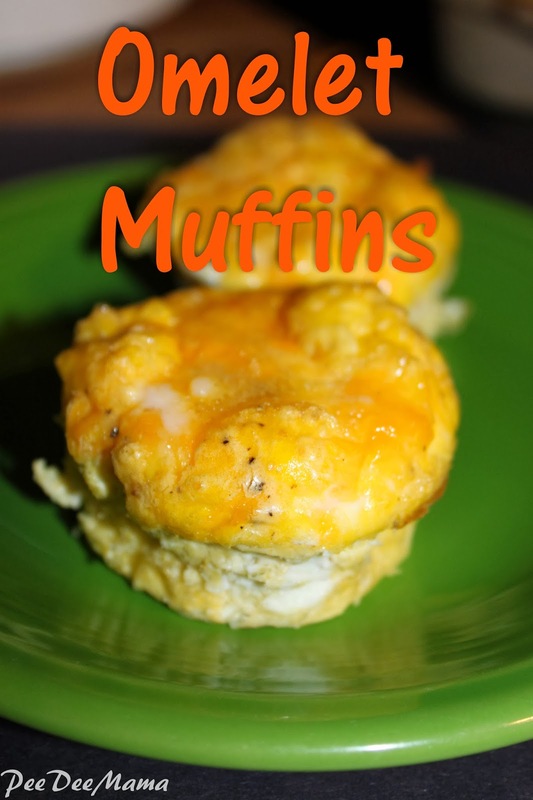 One, I can make a dozen muffins at one time rather than making 1 omelet at a time. Two, minimal clean up required afterward. You can use any fillers for these. I used bacon and cheese, but you could use sausage, peppers, onions, ham. Pretty much anything you would put in an omelet, you could add to these. Beat eggs well and season with salt and pepper. Fill bottom of each muffin tin about 1/3 full with fillers. Pour eggs over fillers to about 3/4 full. Bake at 350 degrees for 20-25 minutes or until a knife poked in the center comes out clean. This isn't the best quality because it was taken by The Boy on his phone. 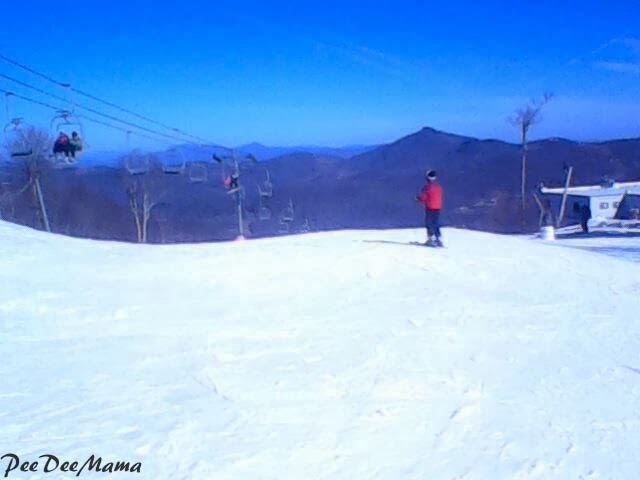 He went skiing at Sugar Mountain with his Boy Scout troop on Monday. He took this picture and texted it to me so I could see the beautiful view he had. Do you have a wordless (or not-so wordless) post to share? Link up below. I like to see what odd, unique, or unusual holiday every day is. Today, January 21st is National Hugging Day. It was launched in 1986 to encourage everyone to hug family and friends more often. I'm going to admit - I am not a touchy-feely kind of girl. But I did marry a man whose love language is physical touch, and one of the small people also has physical touch as her primary love language. Imagine her excitement this morning when I told her that today is National Hugging Day! Yes, I was rewarded with a huge bear hug from her. Hugging does have its benefits. According to Mind Body Green, there are 10 good reasons to get good quality hugs every day. The nurturing touch of a hug builds trust and a sense of safety. Hugs strengthen the immune system. 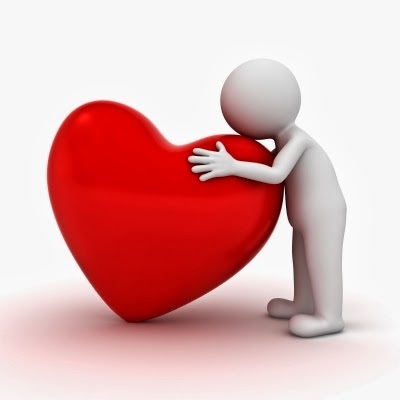 Hugs balance out the nervous system. Hugs teach us how to give and receive. Hugs, like meditation and laughter, teach us to let go and be present in the moment. The energy exchange between the people hugging is an investment in the relationship. This week's recipe comes from the cookbook at our church. 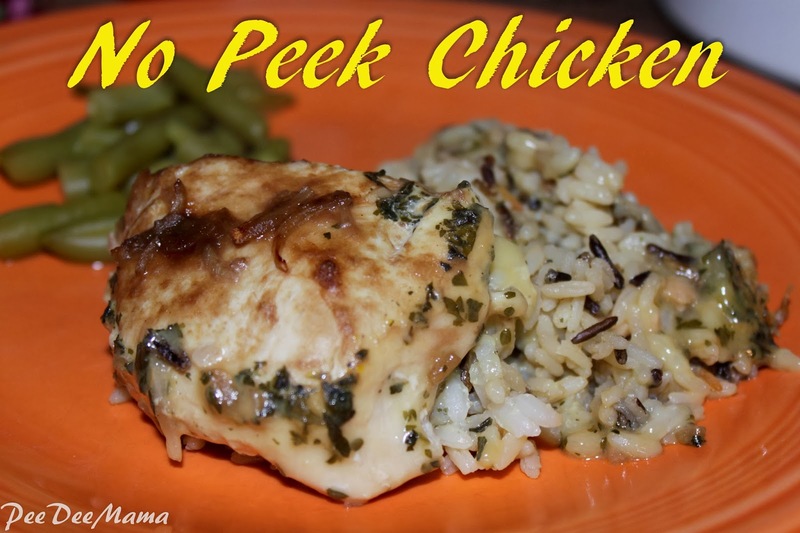 It was submitted by the same sweet lady who submitted the Chicken and Broccoli Casserole recipe. Place rice and seasonings in bottom of 9x13 casserole dish. Mix cans of cream of chicken soup with 2 cans of water and pour over rice. Stir well. Place chicken pieces on top of rice. Sprinkle dry onion soup over chicken. Cover tightly with foil and bake at 350 degrees for 2 hours. Turn oven off and let casserole sit in oven until ready to serve. Do not open the foil during cooking (No Peeking! ); you will lose the steam and the rice will not cook properly. Soccer Girl isn't really one to play dress up, but she did enjoy trying on lots of different hats at Little Red's party. 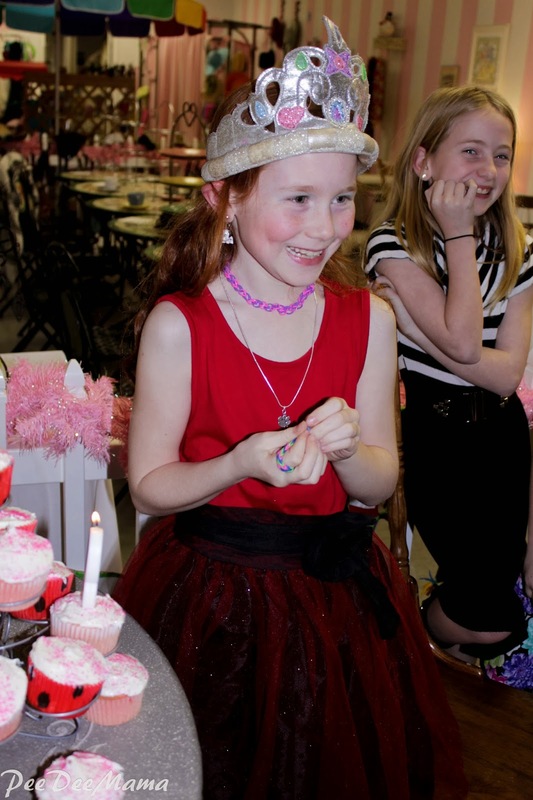 Little Red's birthday was yesterday, but we celebrated with a party on Saturday. 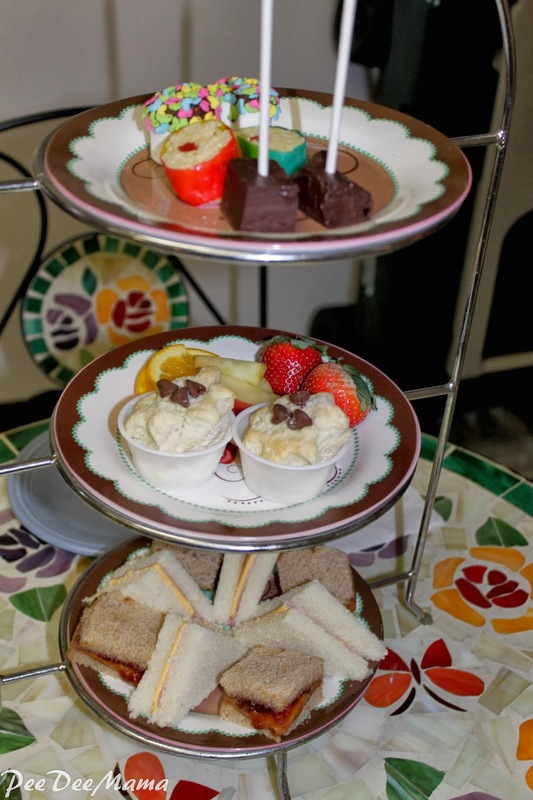 We're fortunate to have a little tea shop here in the Pee Dee region called Top Hat Special-Teas that has a party room, specially designed for tea parties. This was definitely perfect for my girly-girl. 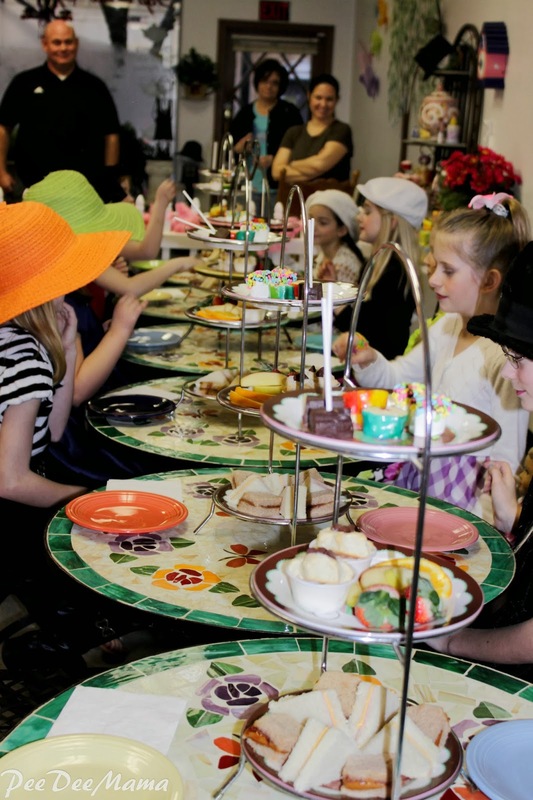 Here's how they designed the PERFECT tea party. 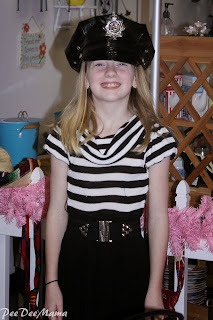 When we first arrived, the girls got to dress up. 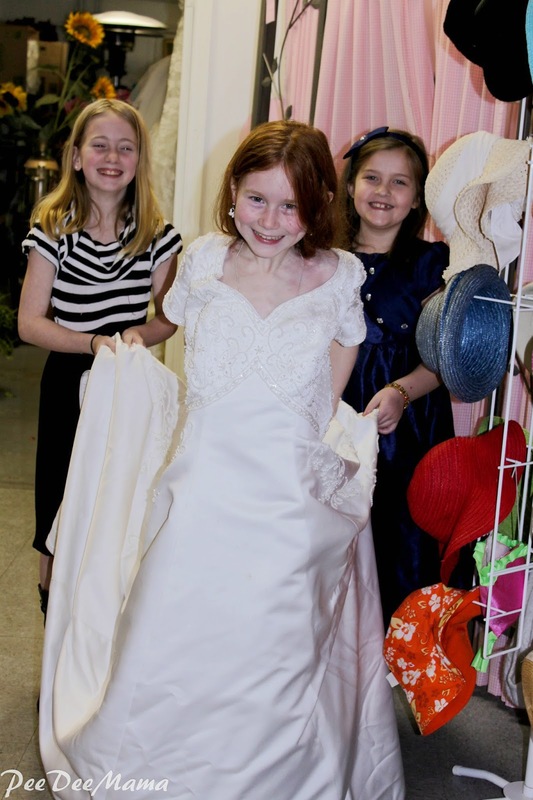 They have many fancy dresses, including a wedding dress, and a special little changing room. 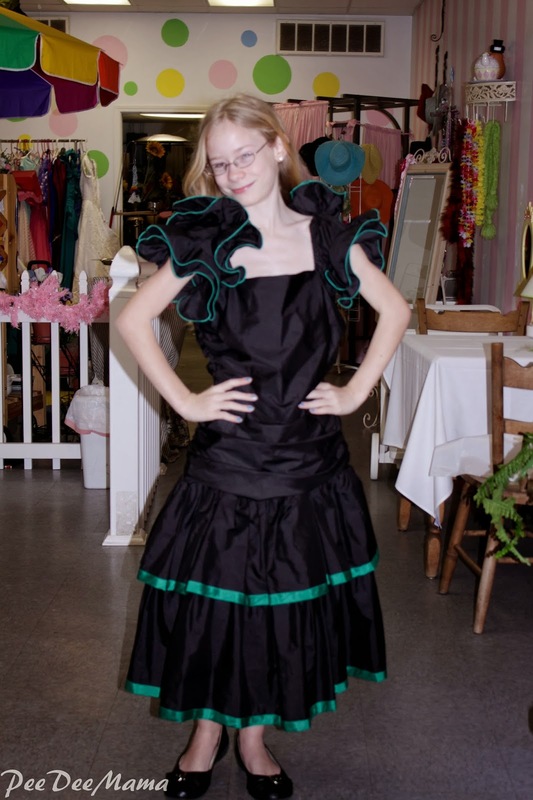 Every little girl loves to play dress up, and what girl doesn't dream of being a bride. 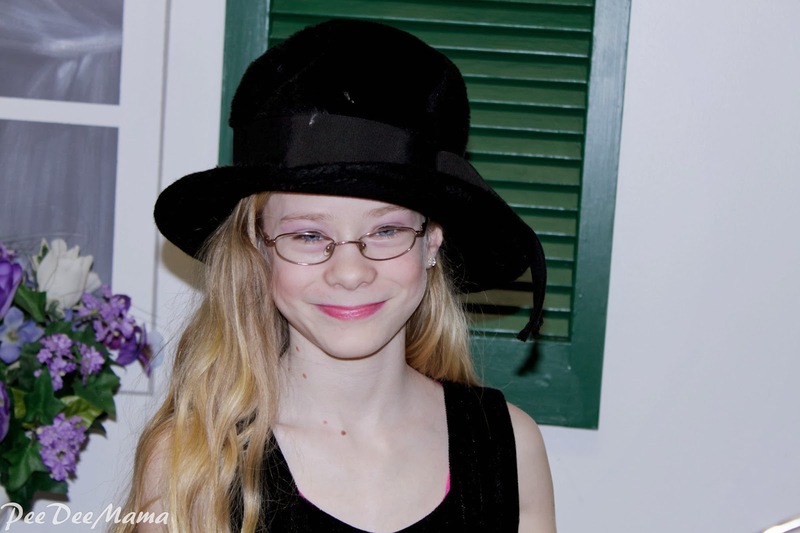 While the girls played dress up, they also had their makeup done. 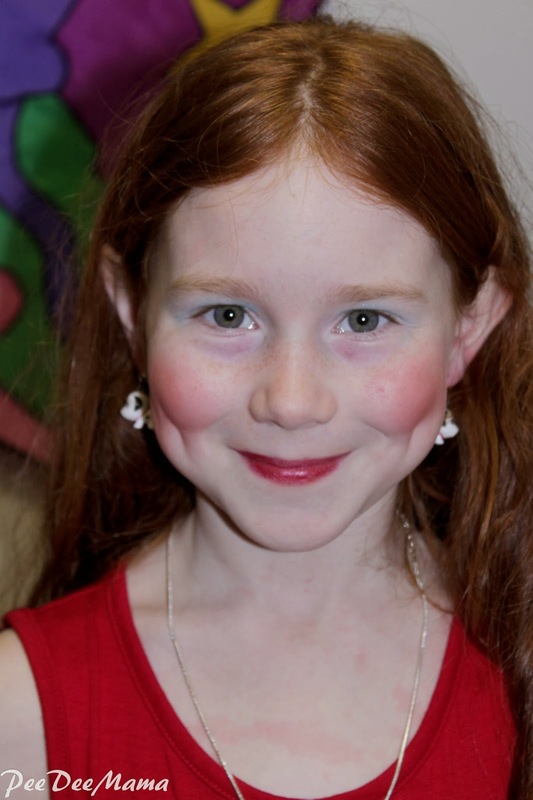 Here's Little Red, all made up. 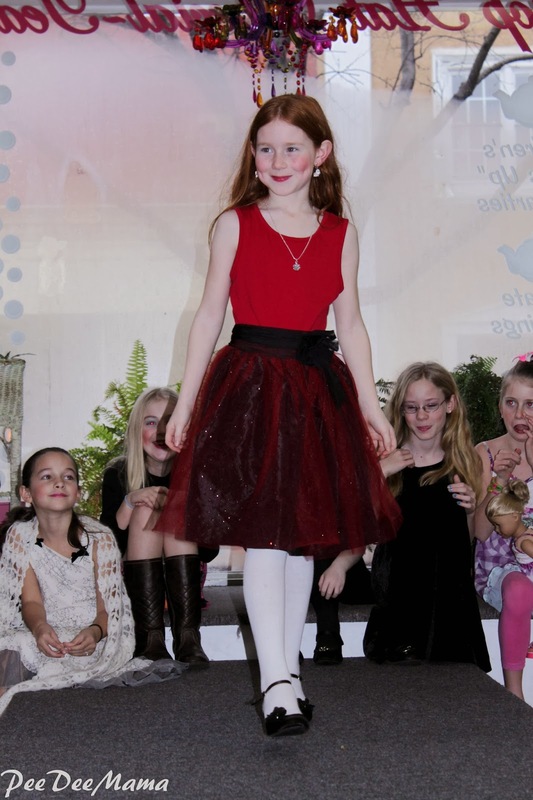 Next was the fashion show. 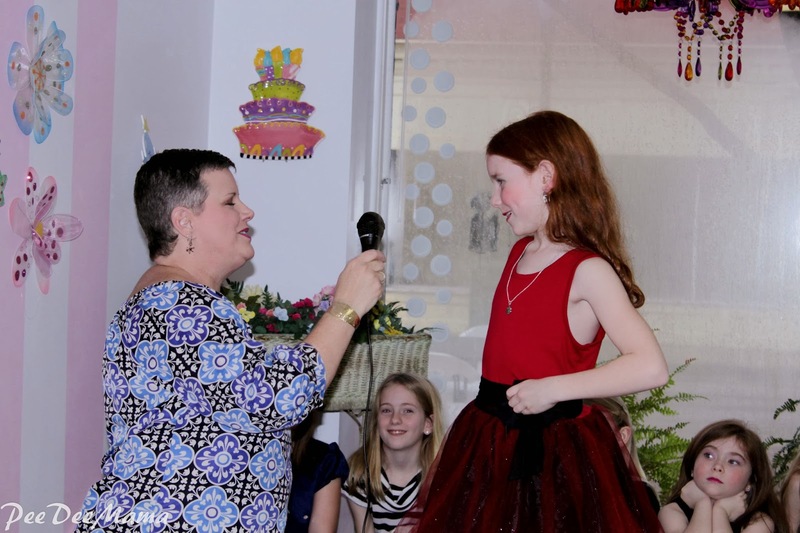 First was an interview with Mrs. Laurie, and then they got to walk down the runway and strike a pose. 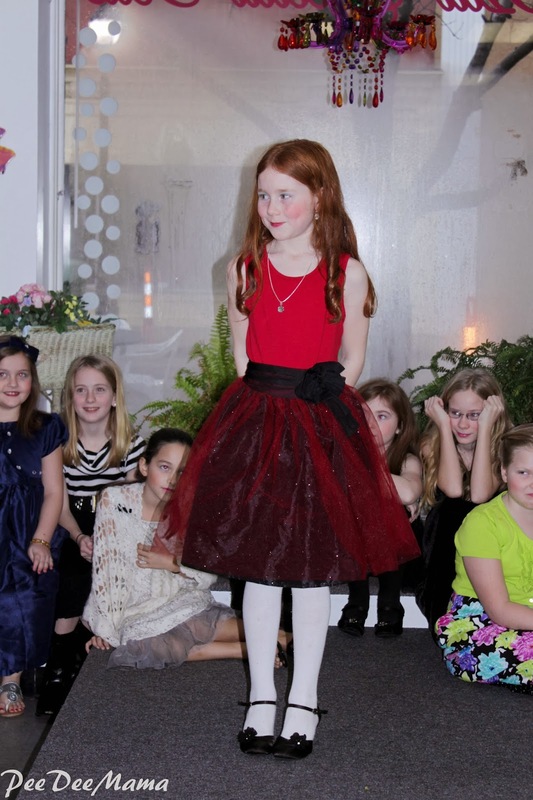 She treated each girl like a princess, and the girls loved the attention. 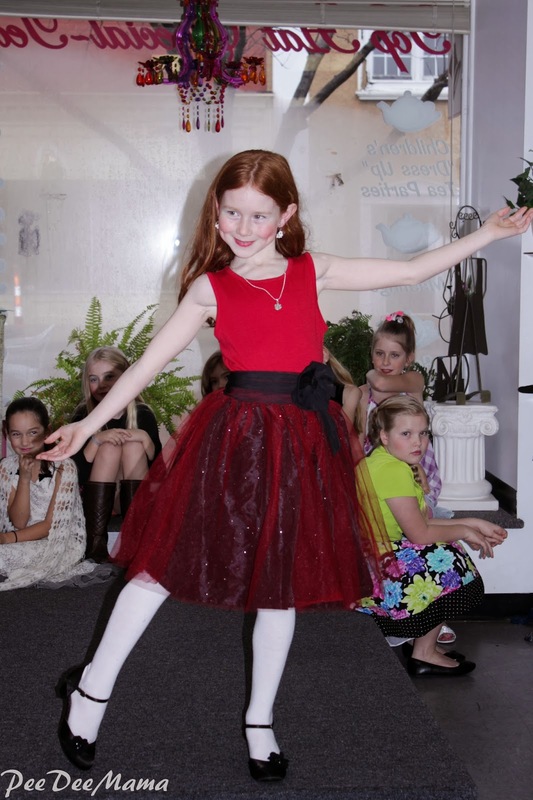 Little Red and most of her friends had the runway walk down, complete with all the sass needed to make a statement. 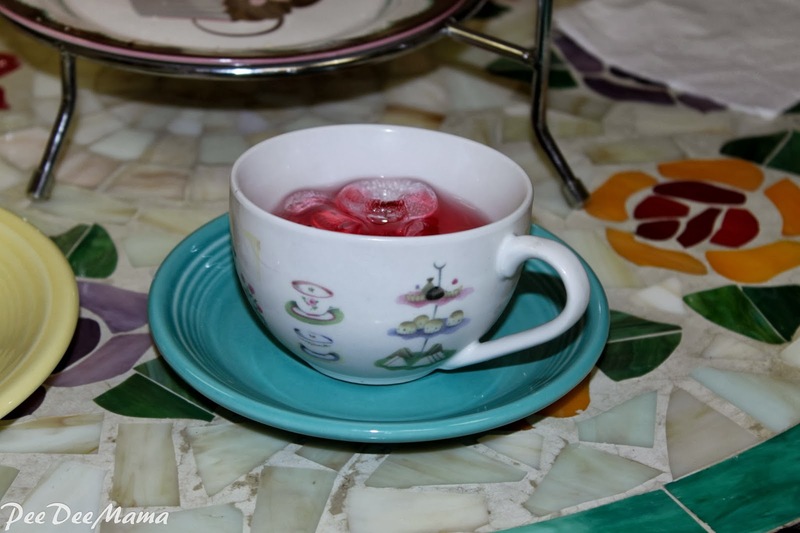 Now it was time for tea. 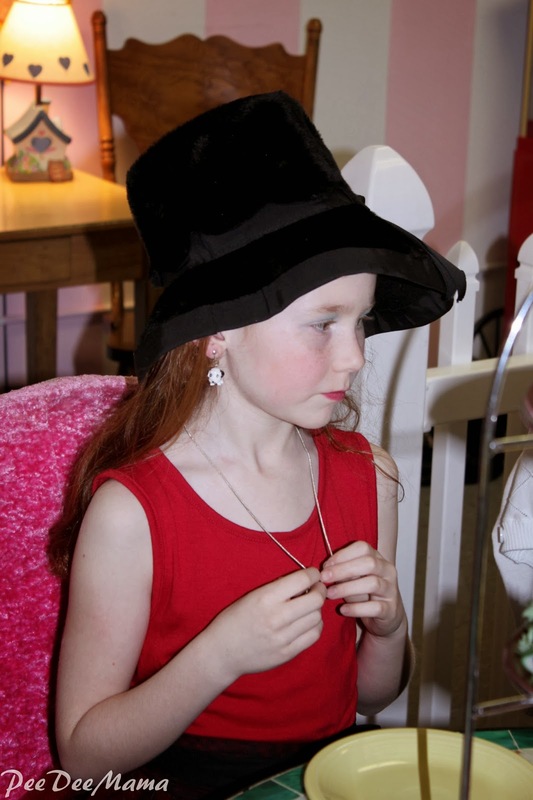 Since no tea party is complete without ladies in fancy hats, the girls each chose hats from the myriad that were available. After tea, it was time to open presents and then have cake. 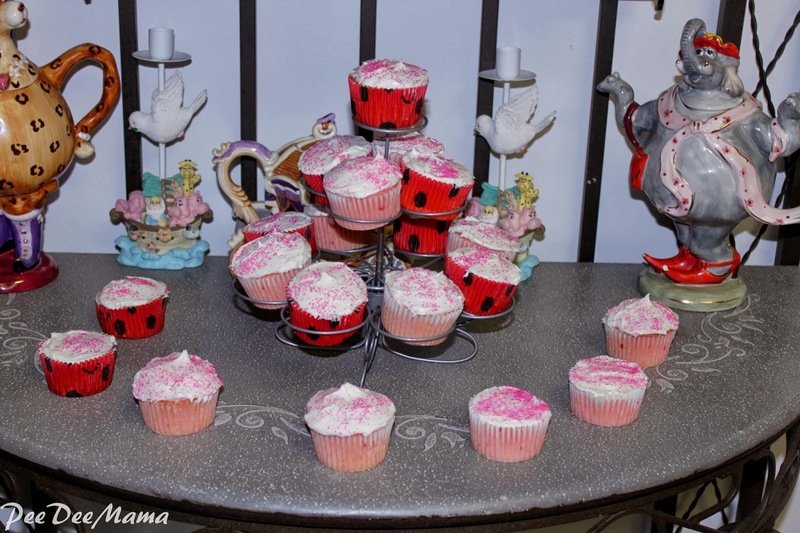 When we arrived, they took the cupcakes we brought and set them up on their cupcake stand. It was a beautiful arrangement! 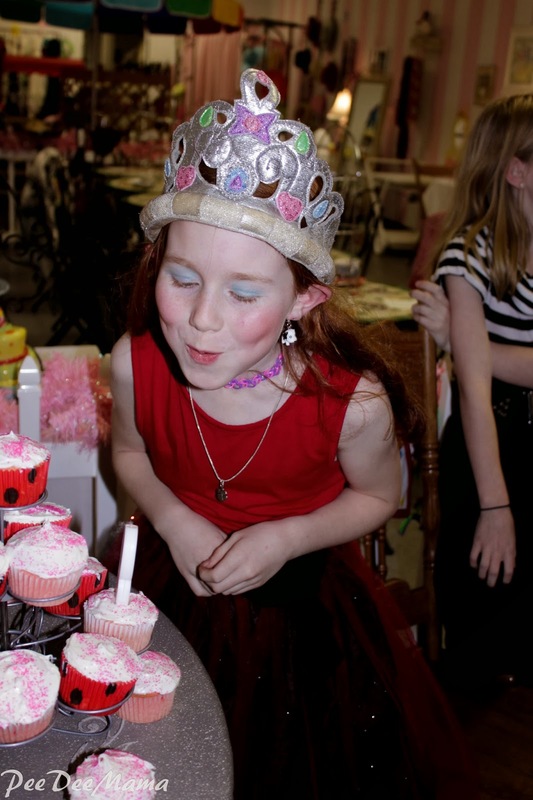 Of course, the birthday girl found the perfect tiara to wear for blowing out the candles. The girls ended the party by playing Freeze Dance. I have to say that this was one of the best birthday parties we've had for the small people. Aside from making the cupcakes, I had no work and no stress. 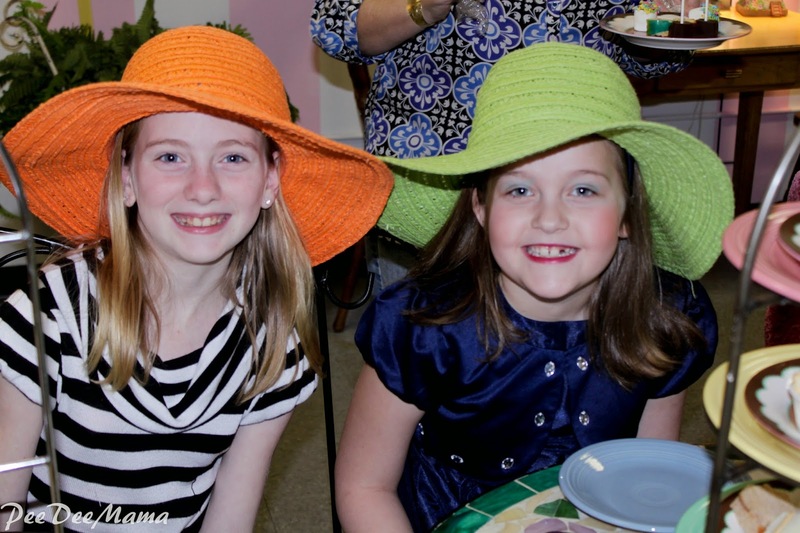 If you're in the Pee Dee area, I highly recommend having your little girl's party at Top Hat Special-Teas. 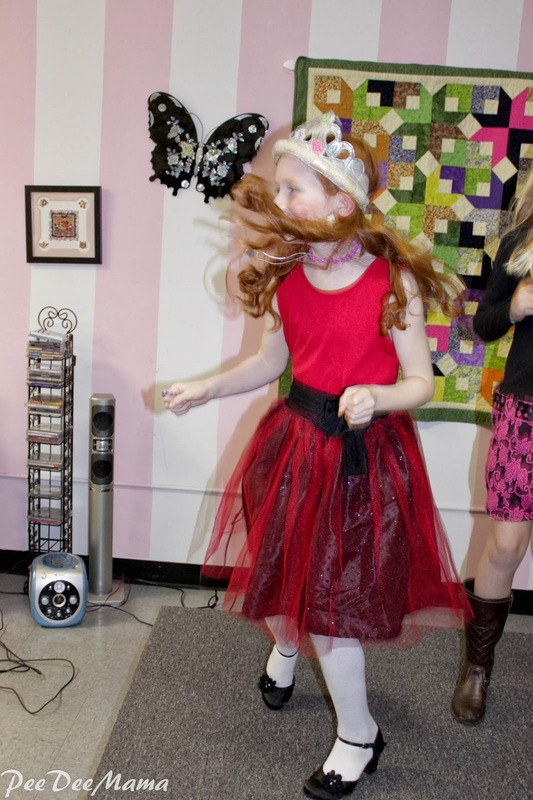 If the Pee Dee is a little too far away for you to travel for a party, then I hope you have a little tea shop nearby that offers parties that will make your little girl feel like a princess on her special day! 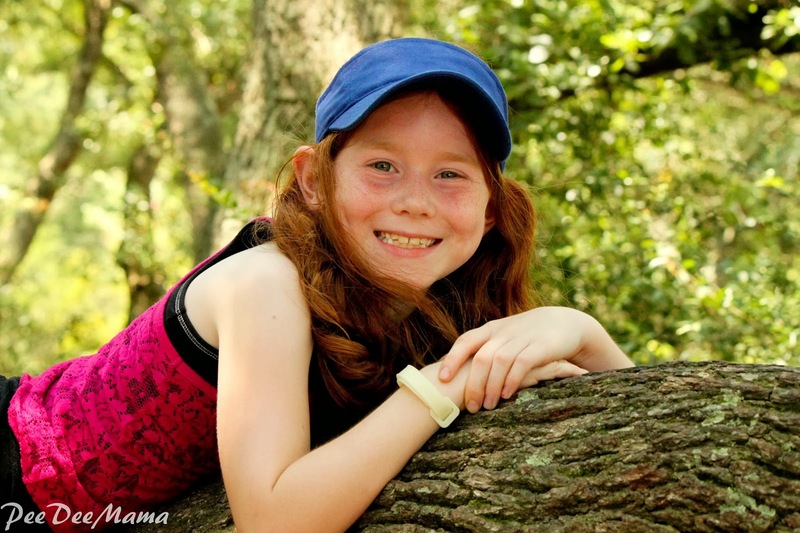 Today is Little Red's birthday! She is one of the most fun 9 year olds I have ever known. 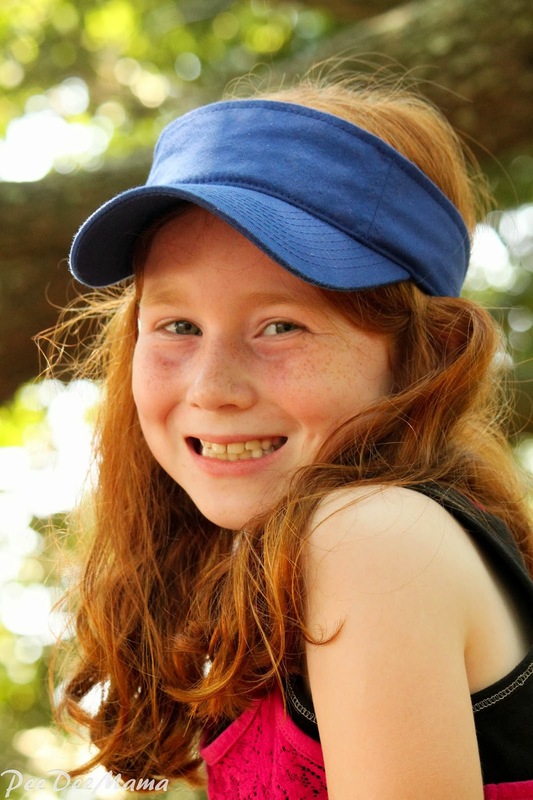 She's spunky, girly, and definitely giggly; in fact, her giggles tend to be contagious. With the cutest dimples ever, her smile lights up a room. 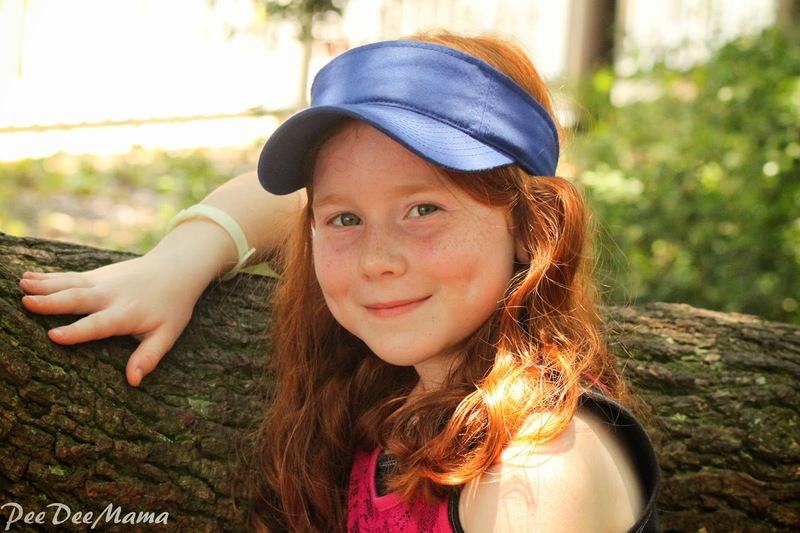 So, here are some pics of Little Red from this summer. 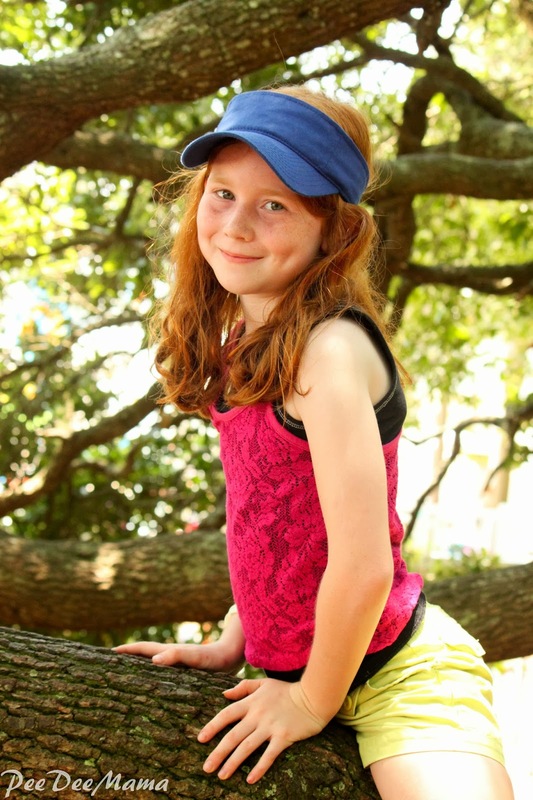 We did an impromptu (and informal) photo shoot at the campground at the beach. 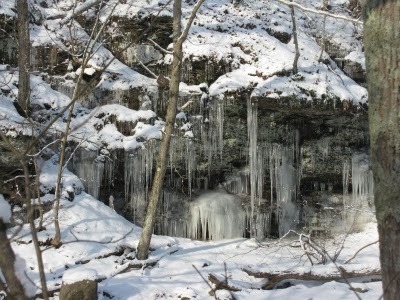 Although we haven't had the snow and ice that a lot of the rest of the country has had, it has been quite cold here. I don't know about you, but the cold weather makes me want comfort food. Before I share this week's comfort food recipe, I want to share 10 links to some other comfort foods. 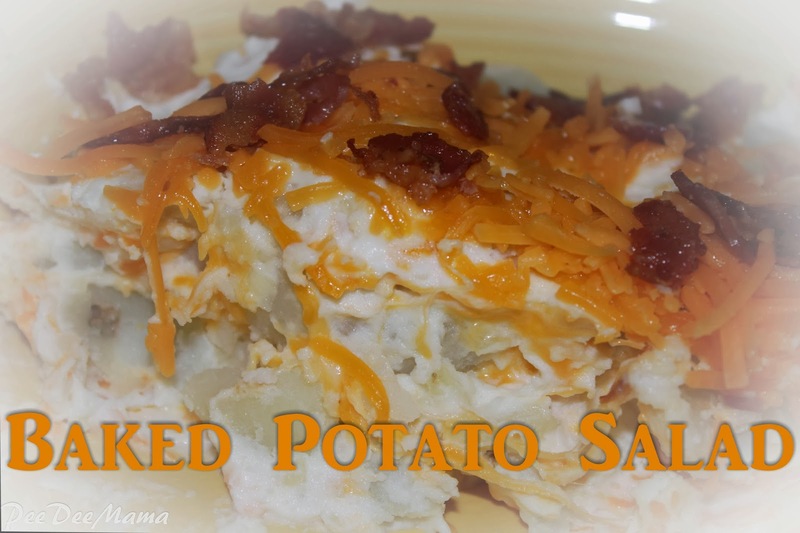 I found a recipe for Loaded Baked Potato Salad at This is My Key West. I made some modifications because I'm not a big fan of raw onions or chives. Bake the potatoes in the oven for about an hour. Cut into bite-size pieces. Let cool before adding the dairy ingredients. Mix the mayo and sour cream together in a separate bowl. Add to the potatoes, then add 1 cup of the cheese. Salt and pepper to taste. 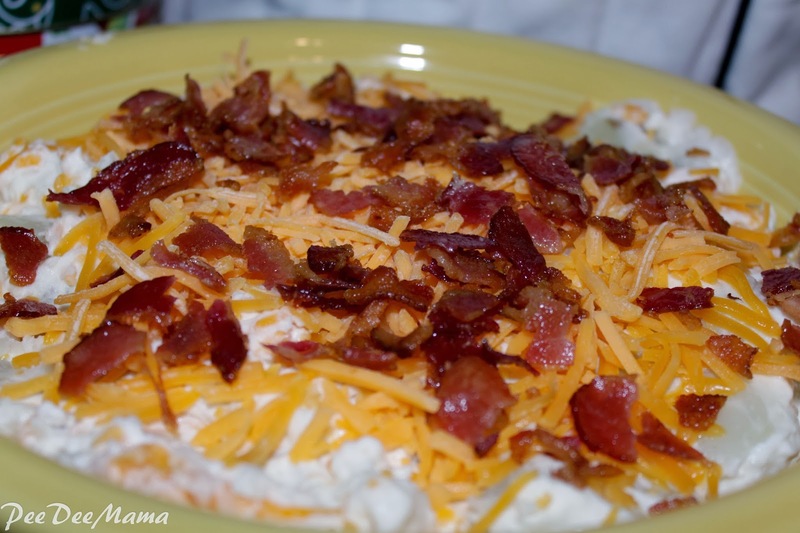 Top with rest of cheese and the bacon. This is good served warm or chilled, although I prefer it warm. Do you have a Wordless (or not-so Wordless) post to share? Enter your link below. Christmas has come and gone. We're almost a week into the new year. The small people and I took 2 1/2 weeks off for Christmas break. I don't know about the small people, but I thoroughly enjoyed having some time off to relax. Today is our first day back after that break, and I have to say I'm grateful. 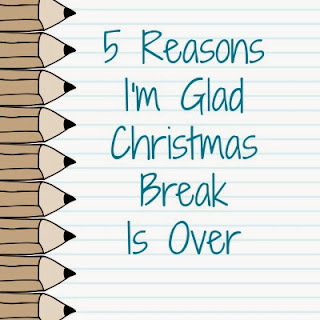 In fact, here are 5 reasons why I'm glad Christmas Break is over. 5. It's too cold to be outside. Since it's too cold to be outside, that means the small people have had to play inside. That also means they've wanted to do more watching television, playing on the computer, and just sitting around. While the end of Christmas Break doesn't mean the end of cold weather, it does mean they'll have more to do now that they'll have school work to fill those hours indoors. 4. We get back to a normal schedule. Don't get me wrong - I enjoy staying up late and sleeping in as much as the next person, but returning to our routine makes me happy. I thrive on having a routine, and I've found that so do the small people. After just a couple of days of no routine at the beginning of the break, I noticed much more bickering and arguing among them as they wandered around aimlessly. Too often their search for something to do resulted in their annoying someone else. Now I don't expect there to be no sibling disagreements at all now that we've started back on our routine, but I know that they'll be much more busy with schoolwork and extra-curricular activities, which should result in far fewer disagreements. 3. My eating habits will improve. I snacked WAY too much over the break. Like the small people wandering around searching for something to do, there were far too many times I wandered into the kitchen looking for something to do and usually came out with some little goodie to snack on. I don't snack nearly as often during the school day. 1. We're this much closer to summer vacation. Today is the first day of the second half of our school year. That means we have just 90 school days left, including today. 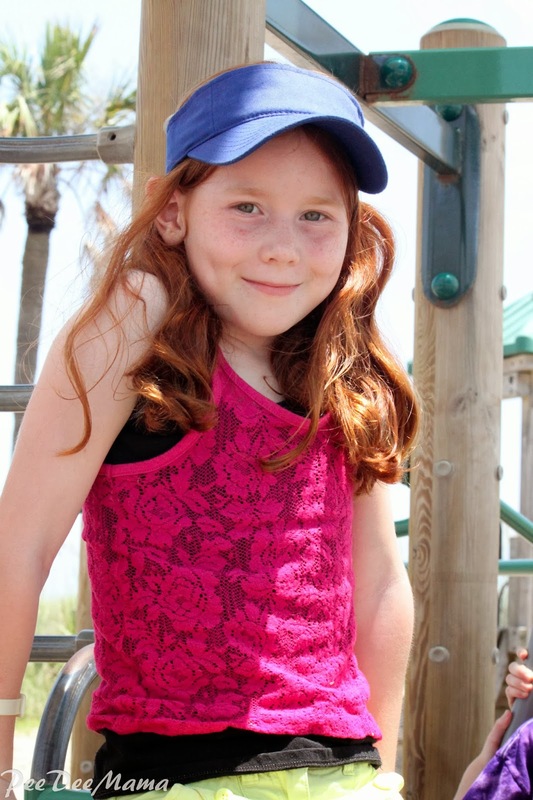 While, yes, summer vacation will mean lack of a schedule and more time for me to wander into the kitchen to snack, it also means warmer temperatures and spending time at the beach and the pool. 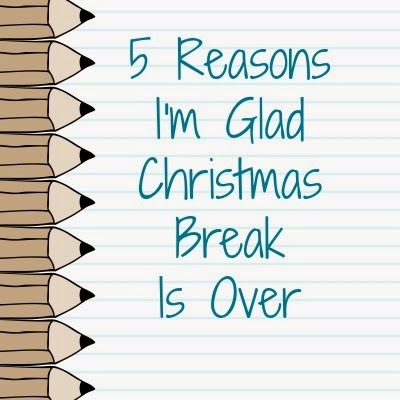 Is your Christmas Break over? How do you feel about it ending? I used to love to read. Actually, I still love to read; I just don't do it as often as I should or would like to. Now that almost all of the small people can read for themselves, I have more time to read for MYself. I have several book downloaded onto my Kindle that have been sitting there for weeks, months, maybe even a couple of years. 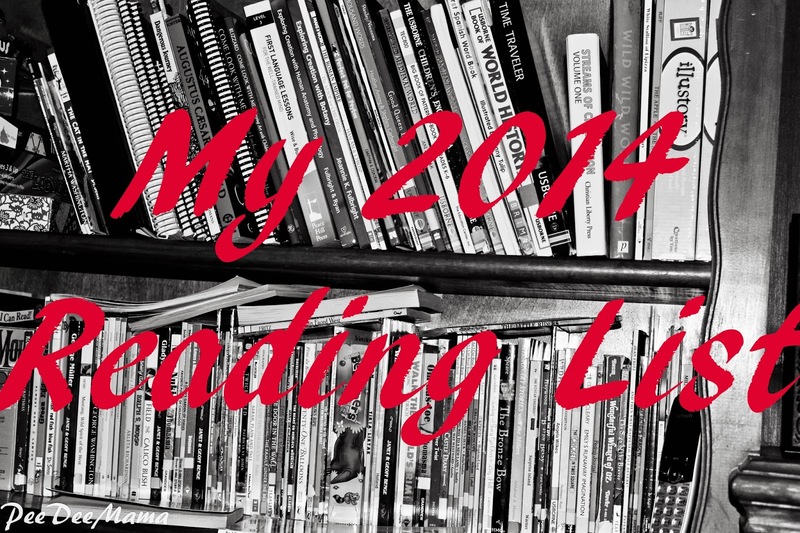 To help me get motivated to read, I've joined the 2014 Alphabet Soup Reading Challenge. Basically, I'll read a book for each letter of the alphabet. I don't have to count "A" or "The" at the beginning of the title. I created a page to keep up with them here. As you can see, I have quite a few books that start with the same letter, and I'm seriously lacking book ideas for most of the alphabet. 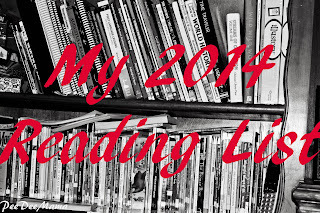 Now I'm turning to you, my bloggy friends, to help fill in the gaps in my reading list. I would love suggestions for books to read this year!